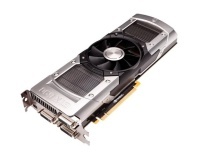 Nvidia’s recently released GeForce GTX 590 3GB - a card that costs around £580 inc VAT - can overheat and even blow up if overclocked with an old driver. The problem was captured on video by the guys at SweClockers, and is apparently a result of the card drawing more power when overclocked or overvolted than its power circuitry can handle. However, the problem can only occur if you overclock or overvolt the card, and only if you use an older driver. 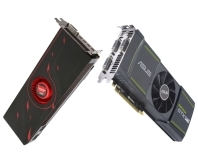 The GeForce 267.52 driver that was originally given out to the press, and which might be available from some websites, does not activate a safety mechanism that prevents damage to the card’s power components. However, Nvidia's latest driver does feature overcurrent protection. 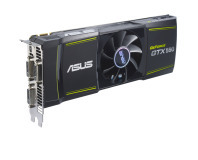 The company also stressed that the card is completely safe, saying that customers could 'rest assured that the GTX 590 operates reliably at default voltages.' You can see a video of the GTX 590 3GB failing below, although Nvidia claims that the damage was caused by a user overvolting the card's GPUs by as much as 1.2V; a huge increase over the default voltage of 0.91 to 0.96V. The company also reminded us that any overclocking or overvolting can void a manufacturer's product warranty. Let us know your thoughts on this in the forums.